“People are dying in service, they are not being replaced; people are resigning, they are not being replaced; people are retiring, they are not being replaced; people are leaving for greener pasture outside Nigeria, they are not being replaced. So, it has cut down the number of professionals that ought to be rendering health care service. 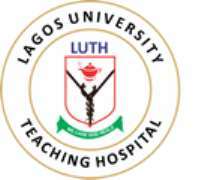 And this has also made the management of this hospital (LUTH) to be employing professionals on a casual basis, which is actually against the provisions of the law."